CAIRO, Sept 21 (Aswat Masriya) - Eighty-two percent of the purchase of investment certificates created to fund the new Suez Canal Development Project was made by individuals, said Central Bank Governor Hisham Ramez on Sunday. The certificates were first issued September 4 and were available for purchase at four national banks. The outcome of the certificates would be deposited in the Suez Canal Authority's account at the Central Bank. Ramez announced that Egypt raised the sum it needs to finance the project, $8.5 billion, eight working-days later. Addressing a press conference, Ramez said he never imagined the funds would be collected in such a short interval of time. "I imagined we would collect the sum in a month or two," Ramez said. President Abdel Fattah al-Sisi issued on September 1 a decree to govern the financing of the 60 billion Egyptian pound project through investment certificates. The decree pledged the National Egyptian Bank, Banque Misr, Banque du Caire and the Suez Canal Bank to issue investment certificates with multiple categories to use their outcome in financing the project. Only Egyptian individuals and companies were allowed to purchase the Suez Canal project investment certificates. The central bank offered certificates worth of 10 Egyptian pounds, 100 Egyptian pounds and 1000 Egyptian pounds. Ramez said on Sunday that the 10 Egyptian-pound certificates were purchased by 70 thousand individuals. He said this reflects a high "patriotic aspect" to the purchase of the certificates. The 100 Egyptian-pound certificates were meanwhile purchased by 150 thousand individuals. The banking system's deposit was down by almost 32 billion Egyptian pounds during the time when the investment certificates were on sale, Ramez said. 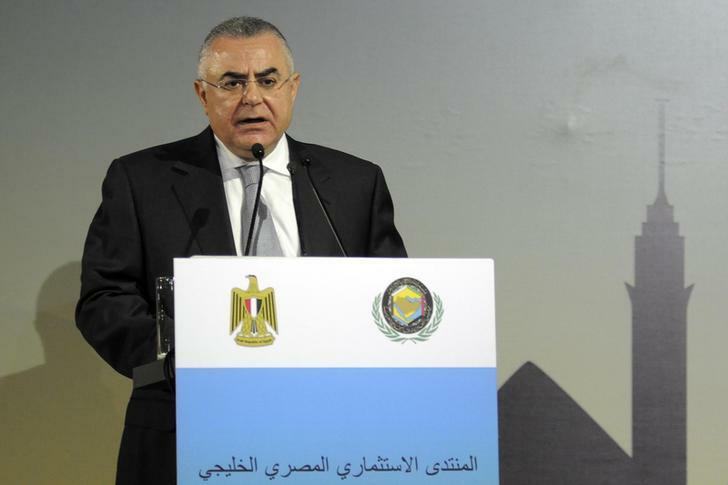 The governor said that 27 billion Egyptian pounds of the collected sum came from outside the banking system. He added that this experience encouraged citizens to enter the banking system. Five billion Egyptian pounds were borrowed from the banking system to buy investment certificates, Ramez said. On August 5, Sisi launched a mega project, which entails digging a 72-km (45-mile) bifurcation to the Suez Canal as well as developing the Suez Canal region. Digging the bifurcation is expected to cost $4 billion. The government had announced that five-year investment certificates with an interest rate of 12 percent would be used to finance the project. Certificates were chosen to finance the 60 billion Egyptian-pounds project as they do not grant certificate-holders ownership rights. The project is implemented under the supervision of the armed forces. While launching the project, Sisi said digging the new bifurcation to the canal would be completed within a year, instead of a previous deadline of three years.